Catalyst Connection will be hosting an award ceremony for students who participated in this year’s Explore the New Manufacturing Student Video Contest. 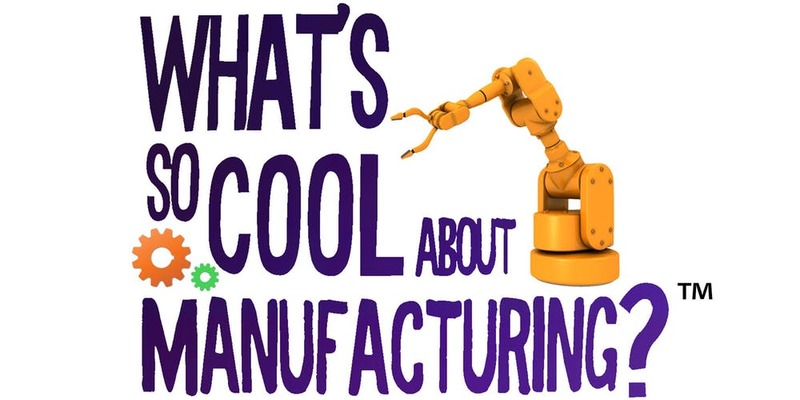 Eleven regional schools were paired with 11 regional manufacturing companies to create a video with the theme “What’s So Cool About Manufacturing?” The program is one of many efforts to build awareness about career opportunities in manufacturing. Come celebrate the resurgence of manufacturing in the region, see the work created by regional students and network with regional manufacturing companies. JARI is offering a 240-hour Commercial Driver training program at no cost to eligible individuals residing in the Woodvale, Old Conemaugh Borough, Prospect, and Kernville Neighborhoods of Johnstown. 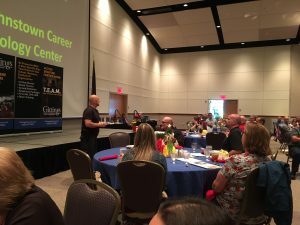 The program will be conducted by the Greater Johnstown Career & Technology Center (GJC&TC) and will offer the option to earn industry based credentials that will enable participants to seek employment in Transportation, Distribution, Construction and related industries. Classes are scheduled to begin spring 2019. The deadline for inquiries is Friday, January 31.
or by calling (814) 262-8366. JARI’s Neighborhood Assistance Tax Credit Program Approved! The Pennsylvania Department of Community and Economic Development has approved JARI’s Neighborhood Assistance Tax Credit (NAP) application for $67,000. Contributions from four businesses will be used to provide Class A, Commercial Driver training to 10 eligible individuals. First priority will be given to residents of the Woodvale, Old Conemaugh Borough, Prospect, and Kernville sections of the City of Johnstown. The NAP tax credit program provides businesses with state tax liability the option to make a donation to the JARI Workforce Program and receive 55% tax credits in exchange for their donation. This is the fourth year of the program. Serving residents of the City of Johnstown. Collectively, the program has placed 60 individuals in full-time employment. Special thanks to the following business contributors whose tax dollars will be "put to work" supporting residents of our local community: 1st Summit Bank, First National Bank, Northwest Bank and Somerset Trust Company. 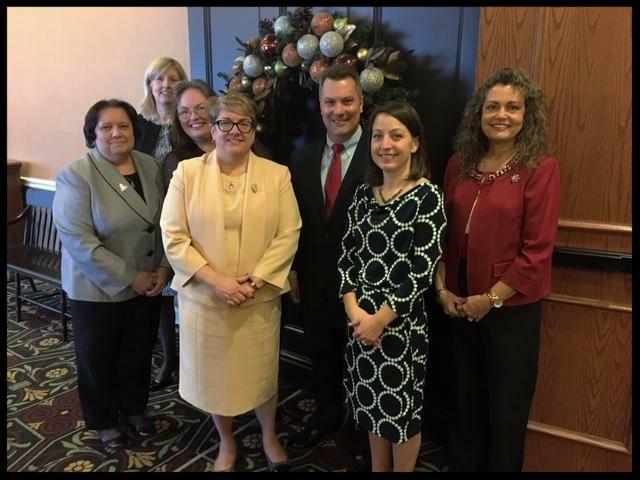 Each year the Pennsylvania Department of Education (PDE) hosts an annual conference designed to provide educators with updates on state educational initiatives. The Standards Aligned System (SAS) Institute includes general sessions with nationally recognized keynote presenters, panel presentations and breakout sessions that highlight exemplars and programming from schools and organizations across the commonwealth. This year, the conference was held at the Hershey Lodge and Convention Center on December 9th-12th. The SAS Conference attracts approximately 200 Superintendents from across the Commonwealth. One of this year’s keynote presenters was Eileen Cipriani, Deputy Secretary for Workforce Development with Pennsylvania’s Department of Labor and Industry. 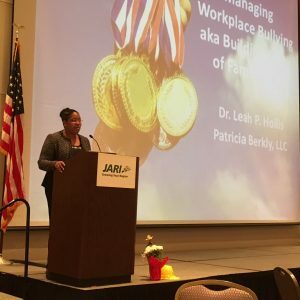 She addressed Pennsylvania workforce needs and how increasing partnerships can build a system of competitiveness and innovation. 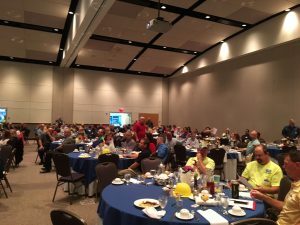 Workforce, education, and business partners from the Southern Alleghenies Region were invited to participate in a panel discussion to showcase the impact of a highly functioning partnership in Pennsylvania. Panelist: Debi Balog, Director, Workforce Development/JARI, Susan K. Whisler, Director, Southern Alleghenies Workforce Development Board, Barbara A. Zaborowski, Ph.D. Interim Vice President of Academic Affairs, Pennsylvania Highlands Community College, Eileen Cipriani, PA Deputy Secretary for Workforce Development, Shawn Kaufman, Director, Human Resources, Riggs Industries, PA Department of Community & Economic Development, Gwen Ross, Director of Workforce Development Initiatives and Carole M. Kakabar, Superintendent, Ferndale Area School District. 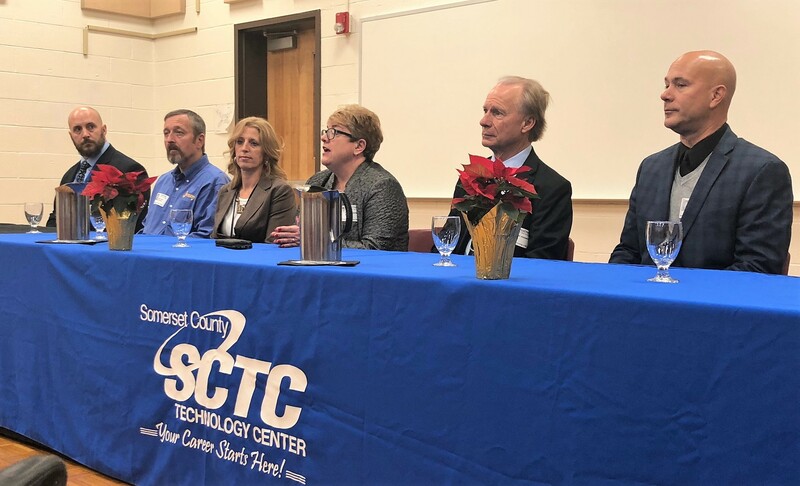 Eileen Cipriani, Deputy Secretary for workforce development in Pa Department of Labor and Industry visited Somerset County Technology Center on Tuesday, December 11th, 2018. Ms. Cipriani announced a newly registered early childhood apprenticeship, in cooperation with The Learning Lamp, Penn Highlands, and PA CareerLink. Additionally, Deputy Secretary and attendees toured the Early Childhood Education, Machinery, and Welding shops and spoke about JARI's training-to-careers grant through Gov. Tom Wolf’s Manufacturing PA initiative that has funded displaced workers to go through welding courses at local Career and Technology Schools in the region, including SCTC. A panel of individuals including SCTC’s Principal Matt Danel, Dan Liess of Leiss Tool & Die, SCTC's Early Childhood Education Instructor Michele Fochtman, Deputy Secretary Eileen Cipriani, President of Penn Highlands Community College Walter Asonevich, and Pa Senator Pat Steffano spoke to students in Early Childhood Education, Machinery, and Welding programs about upcoming and current apprenticeship opportunities. 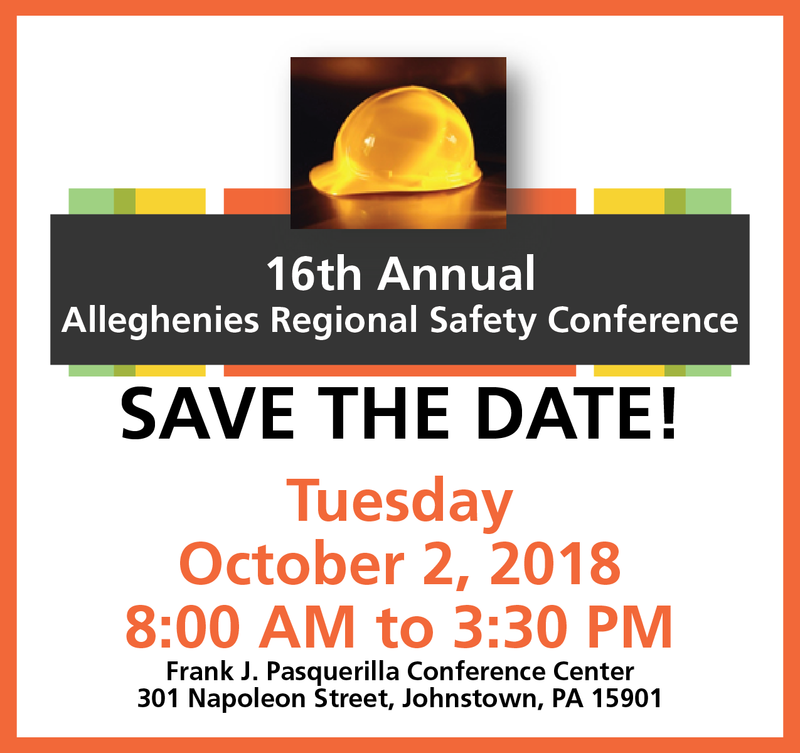 There is still time to register to be a vendor or sponsor at the 16th Annual Alleghenies Regional Safety Conference. 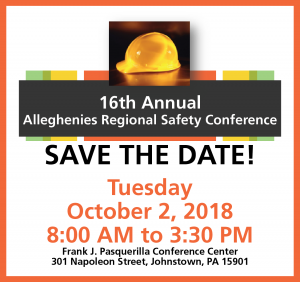 This year’s Safety Conference will take place on Tuesday, October 2, 2018 from 8 AM to 3:30 PM at the Frank J. Pasquerilla Conference Center in downtown Johnstown. The Early Bird Registration for vendors is open until September 7th for a low price of $175. All vendor registrations after September 7th will be $300.